It has been noted that forgiveness is often directly tied to repentance. This is doubtless true, but also fraught with misunderstanding. It is important to understand what forgiveness is and is not and what repentance is and is not. The heart is filled with twists and turns – understanding is helpful at every moment. “Without repentance, there can be no forgiveness.” This, or something similar, is a common sentiment. Before we forgive someone, we want to know that they are actually sorry for what they have done and that they do not intend to repeat it. And this seems to us to be perfectly correct. And just as often we extend this spiritual justice to God as well and insist that repentance is a necessary component for forgiveness. “God will forgive anyone, if they truly repent,” we say. But is this actually true? It’s worth reflecting on what is taking place. First, it is important to remove forgiveness and repentance from a legal framework. A legal framework describes the world in terms of adherence to abstract rules and laws, simple declarations of how things “must be done.” This description almost always fails to ask why things are as they are, or how they work. It dwells on the surface. A legal framework often bases itself on an understanding of justice, in which a balance is demanded. “If this is to happen, then this must be done.” It has the attraction of seeming fair. But it is inevitably the case that the exchange demanded is not balanced, sometimes because it cannot be. Forgiveness and repentance make much better sense if they are removed from the world of legal/forensic thought. Here we can see that repentance is a goal – something we move towards. In Orthodoxy, repentance is not seen merely as a response to something we have done wrong, but our proper and natural state of being (the state for which we were created). Repentance is the state of the heart when it is entirely open to God. It is not just a change of mind (metanoia) on a particular matter, but a change of mind to its proper state of being. And thus St. Peter speaks of us “coming to repentance” (a state of being) and not merely “repenting” (a single act). Sorrow over a past deed or action can indeed be part of repentance. It is normative. And true sorrow can move an injured person to extend forgiveness to us. It declares that we understand the wrongness of our actions and intimates that we have changed. As such, an injured party feels safer and in compassion and mercy may very well extend forgiveness to us. But such forgiveness, though generous, still comes at a price. A penitent must prove themselves deserving of such largesse. Such an understanding is very much part of a legal framework. Prison systems are organized around this principle. Only there, punishment serves as a goad to sorrow. Prisoners facing parole must demonstrate that they have learned their lesson. The same reasoning makes many people loathe to improve the conditions of prisons, or to simply feel that the suffering of those in prison is deserved. On a personal level we also find ourselves feeling justified in withholding forgiveness, using our anger and resentment, and the weight of a broken relationship as tools of punishment. The first commandment refers to what we owe our brother. If he repents, forgive him. And we are reminded that we must do for him what we want God to do for us. The second goes further. Here we are under the heading of pure generosity. Here God will pay what is owed: give and it will be given and more besides. …noticed a middle-aged fellow villager who was playing the accordion and dancing. This surprised him and drawing him aside he asked him, “How can you play and dance like that, Stepan – didn’t you once kill someone?” He had indeed killed a man in a drunken brawl. Stepan answered Simeon and said to him, “When I was serving my sentence I prayed and prayed, begging God to forgive me. And He did. That is why I can now play and be happy.” Simeon, who was himself burdened by the guilt of his own sins, understood how it is that one can ask God for forgiveness and obtain it, as in the example of Stepan. This event confirmed him further in his own personal repentance. This story represents another aspect of true repentance. Here we see repentance as something that precedes forgiveness, but forgiveness clearly transcends any forensic concept. This forgiveness allows a man who has committed murder to sing and dance. There is no mention of reparations, of apologies to a family (though I cannot imagine that such would not have been forthcoming from this transformed, joyful soul.) But rather there is prayer, a yielding of a pliant soul to the grace of God. Repentance as a state of the heart always cries out to God for grace. It longs for the grace of God to complete it and fulfill it, to make whole that which is lacking. We were created to live in such a state. Such a state is also aware of that which is lacking, not because it focuses on itself, but because it aches in the absence of grace. Psalm 51/50 has traditionally been seen as the most perfect expression of this heart – thus earning its place as the most often repeated Psalm in the Orthodox liturgical life. It is a mistake to become formulaic about forgiveness and repentance, creating rules about what must come first or the conditions required. The heart and the complexity of life do not conform to such things, nor is God bound by such concepts. He is the Good Shepherd, the Physician, who knows His sheep and calls us each by name. He knows “the name and need of each.” All of these things are driven by the goal of the heart in a state of repentance. How we reach such a goal cannot be predicted or dictated by formulaic doctrinal descriptions. It happens according to the mystery of God’s grace. The believer who lives waiting to be asked to forgive is dangerously close to the Lawyer who asks, “Who is my neighbor?” He is too likely only to forgive with the measure of someone’s sorrow and learns to hold back what could be given freely. There is a caution in his heart that becomes the enemy of grace and repentance. What was St. Philaret’s sin? Being wealthy? Being an aristocrat and merchant who had never got his hands dirty? No, in all this there was no sin. His sin, if anything, was not earlier noticing the plight of the needy. But more to the point, although there was no definite or identifiable sin, clearly the generosity of St. Philaret expressed/embodied deep repentance. He kept it up in the face of opposition from his own family (who did all right in the end). So here again we see repentance as a state of being, not simply a response to one’s own sin. Personal sidebar: There are two influences that moved me from evangelical christianity to the Church. Imagine my wonder and delight to find Orthodoxy, which has always rejected a juridical view of the spiritual life! Fr. Stephen’s article expresses everything in those two books (and more) in such a wonderful summary fashion. Thank you Father! Came with a gentle spirit to confront what I had said. to continue speaking in this tone and voice. but she took courage, said the things that needed saying. we would not need to have this talk. caused deep regret to clean my soul. Yes, her forgiveness birthed true repentance. the pain I’d caused so carelessly. who do not know just what they’ve done. Thank you for your excellent, deeply meaningful post. Many times in life I’ve witnessed that it was genuine forgiveness that brought forth repentance. It may take time – as my work with people on their death bed has shown me. Much needed and many thanks, Father! I am far too busy working to “come out ahead” in my life to have such joy daily. But when, by God’s Grace, I am humble and repentent, I find not only far more joy in my life but also in the lives of those with which I interact. The Spirit reaches out to others in subtle ways, I think. Many thanks again, Father. God bless! Wow, I ask a question, and he writes whole blog entry. Thanks (even though I’m sure it wasn’t my question that prompted it). Yes, even though this may be the most difficult thing in one’s life. It frees the victim/forgivor to remedy their own errors, see things more clearly, and to let the perpetrator truly live in free will. It can break a person’s heart. It by no means defines the victim/forgivor as a weakling, rather it steels them against further onslaughts. This process cannot proceed with bitterness on the part of the victim, it must include an increase in kindness and grace toward everyone, especially the perpetrator. Thank you for the encouragement, Fr. 3. I don’t think you are saying that regardless of a person’s heart towards God and neighbor–even if he is faithless and unrepentant–is forgiven by the Lord (are you?). I think you are saying that a person (perhaps an enemy) may appear unrepentant at the time that forgiveness is extended to him, but perhaps the love he receives from his victim may, at some point, affect his heart toward the lifelong goal of repentance. Is that right? 4. Suppose a Christian woman has an unbelieving husband who beats her often and without remorse. Does faith require the woman to continue to love her husband in gentleness, prayer and forgiveness, even if it leads to her death (as it did for Christ)? Should she ever seek justice in her situation? Father, can you help me gain clarity around this? regarding God’s forgiveness of the unrepentant, Kalomiros’ ‘River of Fire’ is helpful. To rephrase its key point “God’s forgiveness is interpreted as ‘Hell’ by the unrepentant”. We see this fairly commonly, e.g. : where a mother’s genuine forgiveness and welcome is spurned by the child who has been naughty and remains unrepentant. He just want’s to hide from her presence – and she probably hides herself is out of respect. Thank you Father Stephen for this edifying post. I would be grateful if you might explain the significance of the quote from Matthew in the context of your post, the significance of which eludes me. I believe Fr. is saying that forgiveness precedes and is not conditioned upon repentance. It is pure grace. Now, to be truly fruitful for the one to whom it is offered, his repentance may be required, but it is not a condition or requirement for its giving which ought to be independent and wholly free, a product of unchanging love. In his earlier posting on this topic, Fr. reminded us of the example of our Lord whose first word from the cross was “Father, forgive them, for they know not what they do.” Now, we might say, of course they knew–both the Romans and the Jewish priests and their scribes knew very well. But our Christ God still “made excuses” for them–perhaps because their “knowledge” (as ours is) was, indeed, imperfect. But He forgave them at a time when there was no repentance. Not all–but some–will receive this astonishing forgiveness. In Luke’s Gospel he reports that “all the people that came together to that sight, beholding the things which were done, smote their breasts, and returned.” Luke 23:48. Now, “returned” (yashbu) hints at repentance in Hebrew–all went home; some even “repented” and returned to God in faith. When to prodigal son came to him self and decided to return home to his father (repented), he must have suspected that his father would forgive him to some degree–had already done so. It had to be this knowledge that let him to repent. He simply thought that the forgiveness would be limited to making him a hired servant. It was beyond his ken that it would be utter and complete as if he had never taken his share of the inheritance, left home and squandered it. But it was not his repentance that conditioned the father’s forgiveness–which was complete and always there with no recrimination whatsoever. I wish my readiness to forgive could be like that: may Christ make it so. Susan, I can give you the insight I was given when I posed a very similar question to our parish priest. Fr. Paul said I must indeed forgive and pray for the person, but I did not need to reconcile the relationship. Some relationships are unhealthy and even dangerous to us. I have been married, in the past, to an abusive alcoholic. I was lied to, cheated on, verbally and physically abused, and nearly killed. Unfortunately abuse is something that is perpetuated it seems. My father was abusive, my children’s father was abusive, and my second husband and his girlfriend plotted to kill me. My stepson I raised in the second marriage was a sociopath. Long story, but I had to find a way to forgive all of them, and pray for them – as God calls us to do. I was blessed to have broken the abusive pattern, and gained my self-esteem back. Being blessed later with an Orthodox husband (God brought us together.) and becoming Orthodox, gave me the strength and faith to find a way to heal the past. I have forgiven them all. I don’t hate or feel anger towards any of them any longer. You forgive to allow God to heal you – not because they deserve or even want it. That is how I see those kind of relationships. You hate the behavior, not the person. You forgive in your heart and pray for them. Allowing abuse to continue is not how it should be. Forgiving does not mean putting yourself in personal danger – ever. There are men who will use your beliefs to try and say you should forgive and let them abuse you again. Don’t believe it. Do NOT pet the rattlesnake! I’m sure Fr. Stephen can put it much more eloquently than I can, but there is a difference between forgiving and allowing yourself to be put in danger again to reconcile with anyone. I loved this blog today, and it is such a wonderful reminder during Lent, to truly examine our hearts and find the forgiveness we need to offer – deserved or not. It is not about the other person, it is about reconciling us and God. We forgive because He forgives us. God bless, and please don’t allow forgiveness to put you, or anyone you love, in danger. Fr Stephen, I am still waiting for your blog on confession. Also I hope that Janis got to read today’s blog. Will God forgive the unrepentant? I think, God will (forgive the unrepentant) -He already has- but he, (the unrepentant) will not want any of it. The last thing in the world that an “unsavable” being is looking for is forgiveness. As Dino said. The goats aren’t goats because God won’t forgive them. The goats are goats because they refuse to be sheep. The ideal example of the sheep and the goats are the two thieves. They are equally guilty. One accepts his guilt (I suppose there is a repentance in that) while the other rails at Jesus. The one of the left (the goats) could have had paradise like the thief on the right (the sheep). But he wouldn’t. He wouldn’t even listen to the preaching and urging at the last minute of his fellow thief. But that thief found paradise. It’s not at all a question of God’s forgiveness. That goes without question. God has no need to not forgive anyone and everyone. Christ even extended mercy to the demons who wanted to go into the pigs (little good did it do them). The problem is whether we will accept the goodness of God. Paradise is never more than a single moment away – even now and in this life. But we refuse it. It seems to me, forgive me, that you are fixated on being sure that the goats “get what’s coming to them” in the end. This can be a very disordered desire. Guard your heart and be careful. Begrudge paradise to no man. Still working on it…forgive me. Concerning the fact that we must keep away from those who harm us, even if they are friends or are otherwise quite indispensable. 3. The same Elder said: “It is not profitable for us to cling to transgressors, neither in Church, nor in the marketplace, nor in the council, nor in any other realm; rather, we must completely refrain from relations with them…. —The Evergetinos. Book One. Hypothesis 23. It is said by the Fathers that we should consider ourselves as the only ones who are condemned and that all others are entering paradise ahead of us. The key to this advice is to acknowledge in one’s heart that the cutting off is because of one’s own weakness and not as a condemnation of the other. Am I seeing it correctly? Yes. God is able to bear the presence of the devil. But not the other way around. I have heard this example before: If we were to all be unexpectedly consigned to new seats in place of the ones we are sitting on now, for example, to be seated in stalls round some impeccable, otherworldly amphitheater, with unspoiled vision and perfectly even acoustics, all watching the same, truly marvelous performance, we would all have subjectively very distinctive experiences of it. These would range from the ecstatic experience of one who already desires this tremendously, who senses the performers speaking to his heart directly, who has phD’s in that very play which he’s been eagerly anticipating all of his life, who comprehends truthfully all that is happening there (this perception is the one end of the spectrum), to the experience of him who wants nothing more than to not be there and detests all that he perceives, with an ever mounting disconnection and mistranslation of what he ‘sees’ as desperately unbearable (the other end of the spectrum). The performance is the same -truthfully perfect-; but to the second man it’s perfectly unendurable. In other words, the very Paradise that is Paradise to a St Paul, making his heart speak the truths of eternally soaring gratefulness, is hell to the father of lies, who’s heart interprets and speaks lies, for “when he speaketh a lie, he speaketh of his own”. Paradise is unreservedly offered to all, it is nothing other than God’s glorious, unconditional love. It is absolutely the same for the highest of all creatures –the Theotokos- and the lowest –Satan…! However, how each experiences this, varies infinitely. For our adversary (and those of us who have made ourselves liars through interpreting everything through the prism of pride and self-worship), it is interpreted as Hell. I find the most difficulty with boundaries. It is difficult to distance myself from those I love that disrespect my life in Christ. In my own situation I am referring to my own parent. It is painful and frustrating, but in order to keep family peace I must not physically distance myself, even if he actually does not desire my presence. Father Freeman, Dino, Robert, and Merry thank you so much for your thoughtful responses to my questions; you have given me much to think about. However, I am sorry to say that I am more confused! Dino and Fr. Freeman, the thing I am struggling to understand is the value of forgiveness without repentance and without reconciliation. This seems like splitting hairs to me in the same way that Protestant churches separate justification and sanctification (as if one could be possible without the other). Sacred scripture keeps repentance, forgiveness, and reconciliation/restoration together. Does God forgive us, yet withhold reconciliation? This sounds rather like Jacob’s covenant with Laban in which he says , “The Lord watch between me and thee while we are absent one from the other.” . . . a kind of tense truce in which neither heart was truly changed toward the other. I ask again, is this the way God forgives us? Please pardon my questions, I am really trying to understand . . . In considering the sheep and goats passage, John 6:44 came to mind, in which Jesus says, “No one can come to me unless the Father who sent me *draws* them, and I will raise them up at the last day”; and the parable of the wedding banquet (Matthew 22:1-14) which is summed up by the words, “For many are invited, but few are *chosen*.” I think there is a holy tension between our free will to sin (which can lead us to the idea that *we* can save ourselves by accepting or refusing God’s gifts [in which case, only the “good people” would be saved] and God’s sovereign will, which chose to save St. Paul and make him his holy ambassador to the Gentiles. Jesus said, “Not everyone who says to me, ‘Lord, Lord,’ will enter the kingdom of heaven, but only the one who does the will of my Father who is in heaven. Many will say to me on that day, ‘Lord, Lord, did we not prophesy in your name and in your name drive out demons and in your name perform many miracles?’ Then I will tell them plainly, ‘I never knew you. Away from me, you evildoers!’ (Matthew 7:21-23). These words should keep everyone humble in these matters. And so, I am left with my question, which is essentially the same as Maedhros question (and, I do not think that he desires the unrepentant to get what they “have coming”, anymore than he wants to get what he “has coming”). I took his question to be about understanding the nature of biblical forgiveness/repentance, which is a concept that has been muddled in recent years by the influence of pop psychology and the Oprah Winfrey show, which have made forgiveness more about the victim “letting go” than repentance and restoration. Here’s the thing I keep pondering: was Cain forgiven? No, sending him away from his people was his punishment. This statement of our Lord about forgiveness on our part is clear and unconditional. Even if taken merely at face value, it is altogether true. But is there not a ‘deeper’ meaning? Is it God (who is immutable) who changes His disposition toward us based upon our willingness to forgive? Is it not rather we whose disposition toward others can render us incapable of sharing His likeness, of living His life, of being His sons, of sharing in His glory and unconditional beneficence toward all? These are very difficult situations. May God give you grace. I’ve deleted your comment. It seems shrill. No one is trying to forgive what God does not forgive, nor is the Orthodox faith being questioned here. But what use is it to cluck our tongues and talk about the sins and damnation of others? We have only ourselves here – and hence my admonition. Be at peace. It isn’t Cain that is my problem. It’s me after Cain has left. And that experience of me points to my need to loose someone even though he doesn’t repent. My binding of him (unforgiveness) binds me to him as well. I cannot heal the relationship – but I can take care of my part of it. And so we are taught to love our enemy. That is all that is being said here, nothing more (but nothing less). There will be a judgment. But when it is seen in the final light of God, it will not have been God who casts us away from Him, but we who cast ourselves away from God. This is sometimes misunderstood. The River of Fire article on this blog is worth a read in this regard. And, if finally, this doesn’t make sense for you, just let it go and lay it aside. In actual fact, Cain was in fact safeguarded by God rather than punished, “the Lord set a mark upon Cain, lest any finding him should kill him.” It was Cain who “went out from the presence of the Lord”. There’s no denying that the experience of hesychastic repentance (in undistracted contemplation – or rather in undistracted invocation of our Lord Jesus Christ) is the most practical method to cultivate this grateful awareness of our sinfulness and God’s mercifulness on our behalf. It reveals the two opposites of our utter wretchedness, and God’s utter benevolence, the ‘giveness’ of His infinite forgiveness and love. The second of these (God’s utter benevolence) is also twofold. One element here is awareness that God has already bestowed this utter benevolence (already in its fullness though in a form of potentiality requiring our reciprocity) to us since Baptism, even if it is just a seed that still requires cultivation to sprout, the other element is that our eschatological destiny, our calling is infinitely noble, it is to sit with Christ where He sits! Therefore, whether I am recognised by all as an exceptionally depraved sinner or as an exceptionally pure saint makes little difference to my feeling that I have fallen so short of this inconceivably great calling, (whether it’s a billion or a trillion miles away matters little) so much so that I come to know in my very bones that nobody is a more wretched traitor than me. This all translates in a sweet sorrowful joy and gratitude that the world cannot take away and which forms the basis for not being able to not forgive all others… We become forgivers as a response to God’s unconditional forgiveness. Fr. Stephen, thank you for your patience and kindness! I appreciate you taking the time to answer my questions. Your post and this discussion are helping me to sort things out–I do believe I may be getting closer to clarity. I want to say that I have always identified with Cain in that story and have never considered his father and mother’s feelings about him killing his brother; I will meditate on that. Thank you, also, for linking the River of Fire article. Indeed. Imagine, having just been received into paradise. And you realize that it is indeed true. Then, an angel quickly comes to you and says, “Of, we forgot to ask, that man who killed your brother. We need to know whether you want God to forgive him.” What do you say? It is, in fact, the very same situation that faced the steward to whom so much was forgiven but who would not forgive the others. But I would also say that a key to my not entering paradise already, is the fact that I do not want others to enter with me. I begrudge paradise to very many. I do this. If someone thinks they do not begrudge paradise to any, then I suspect they do not yet know the depths of their heart. Can a state of infinite joy, remain a state of infinite joy and refuse forgiveness to anyone on any grounds? You’re most welcome. I think that this topic pushes us to the very edge. I certainly mean it to. How can we not be patient with one another as we stand on the edge? The Lord placed a mark on Cain to protect him from being killed, but God did punish (curse) him and banish him. I am only a busy mother of five children. I cannot say that I understood everything you wrote in your last comment, but I did get the last part about the ‘sweet sorrowful joy and gratitude” that forms the basis of becoming a forgiver. I am very fortunate that I have not had my ability to forgive sorely tested yet–thanks be to God! But, I must disagree that God’s forgiveness is unconditional: 1 John 1:8-9 says “If we say we have no sin, we deceive ourselves, and the truth is not in us. If we confess our sins, he is faithful and just to forgive us our sins and to cleanse us from all unrighteousness.” God extends the gift freely, but *receiving* it is conditional on our repentance and belief in Christ. It is a kind of covenant. If this is not true, then I am forgiven whether I believe in Christ and acknowledge my sinfulness or not. In that case, I may as well be Jewish or Muslim or atheist, no? Father, thanks for your post. I’ve been thinking hard about the forensic vs ontological view of faith that’s been a focus of so many of your posts recently. I’ve found the forensic approach to be problematic (to say the least) for years. Coming from a Protestant background with it’s (usually) forensic approach, there is a particular way of speaking of the “efficacy of forgiveness”. Either one is forgiven in a legal sense, or one is not, but it could also be argued that one doesn’t accept ones legal standing in light of (an obviously distorted) “free will” that God is powerless against. But in an ontological model, what does it look like to say that God forgives ALL but that this forgiveness may not be “effective”? Is ontological “forgiveness for all” ultimately just a statement of a relational possibility that can be freely rejected? It would seem that forgiveness in such a model is potentially meaningless – it doesn’t have a legal component to look at and it doesn’t change anything ontologically at all. How then is forgiveness not in some sense still a “legal fiction”? I slip back into a legal framework here. Again, coming from a Protestant background (which I am not tied to) these are new and paradigm shifting ideas for me. Thanks for your posts. Two things that struck me from your post. One is your assertion that Gods love is conditional. Barring universalism, I cannot see how God’s love could possibly be considered “unconditional” in any meaningful way. And the “love eternally experienced as wrath” per the River of Fire might make God look a little kinder but it ultimately doesn’t seem to resolve much. The second is that your quote above seems to lend support to this “conditional forgiveness” – God’s condition is that we be “Christian” and that we “believe” or forgiveness is withheld. It might even be perceived that forgiveness is earned through a proper response – since for God to forgive all without the proper prerequisites wouldn’t be “just”. It is the same misunderstanding as with the “God hardened the heart of Pharaoh” expression. It’s just an anthropomorphic way to describe that God allowed this desire of Pharaoh to come to pass. This permission granted by God is what makes man into a being with self-determination, not an automaton. “Savability” is also “perdition-ability”. God does not “punish” in this understanding. Cain’s perception of punishment is solely a consequence. That the “crops yield not”, and that he sees that he will be a “restless wanderer on the earth”, and “driven away” is the quintessence of the ‘new’ (perverse) interpretation of all that exists that is imparted on us when we sin. Sin wants to make me my own god and hence makes the greatest inconvenience of the actual Truth –God- to this ontological perversion of mine. The Genesis accounts, (even the NT descriptions of various ‘hells’) obviously do not need to go into these fine philosophical clarifications. The Fathers do this. The classic simile, that one makes his heart into wax through their way of living and another into clay, applies here. The sun’s rays (God’s unconditional love) fall equally on both, yet my selfishness makes me clay, harder (like clay hardens) – and then everything is perceived and explained by me erroneously. Whereas one’s humility makes them like wax, and the rays soften that further and further. It can be (this subjective ontological interpretation of the cosmos as paradise or as hell irrespective of the objective state of the cosmos) so tremendous that we see saints placed in ‘hell’, eg being tortured in prisons and yet experiencing ‘paradise’ inside! The reverse is also true, the culmination of which is that lucifer placed in paradise would experience a greater hell than in hell. indeed the connection of the harlot who was forgiven much and loved much in Luke 7, 47 and the steward to whom so much was forgiven but who would not forgive the others is, to me, the key. It’s the only key that opens Paradise. Is it not why awareness of puns sinfulness is spoken so highly of? If I know that I have been forgiven more than all others, if I am aware that I have killed the Son of the Father in Whose house I want to enter, then even the mere concept of the person who has killed my son not entering that “house” cannot be entertained. Indeed we love God to the measure that we forgive our enemies and we forgive our enemies to the measure that we are aware of having been forgiven ourselves, of needing forgiveness. I say unto thee, Her sins, which are many, are forgiven; for she loved much: but to whom little is forgiven, the same loveth little. It’s interesting that this will not allow us to say too clearly whether forgiveness flows from love (and forgiving), or love (and forgiving) flows from the awareness of having been forgiven. Fr. Stephen, this is somewhat unrelated to the article, but what is your thought on war? To what extent is, from an Orthodox perspective, war legitimate ? “Legitimate” is not the right word. It only means that there are reasons that we feel make war necessary, but doesn’t say anything about war itself. War is traumatic and tragic and, regardless of how necessary we perceive it to be, is devastating to those who participate in it. We need to be healed of its trauma (which includes forgiveness and repentance – the primary means by which we are healed as Christians). War is a good example of the failure of a legal/forensic model. Whether war is “just” or not is beside the point. A soldier with PTSD, regardless of how justly it might have been incurred, still has PTSD. If justice were the right question, then all the soul-shattering injuries should be healed by the knowledge that their cause was just. And it simply doesn’t work. But – we know that war is tragic and devastating. We also know that it’s not going to stop. Our task as Christians isn’t, ultimately, to figure out whether war is ok or not, but to heal, forgive, and to nurture a heart of repentance. Thank you for the answer, Father. I was asking about this not with regard to some modern event, but simply regarding the fact that war was a rather perpetual reality during the whole history of Christendom. I don’t exactly mean the crusades, either. But simply take the history of the Eastern Roman Empire, from the founding of Constantinople by Constantine to its ultimate fall in 1453. Also, by legitimate I had in mind not exactly the political cause dictated by some real or perceived historical/geopolitical necessity, but more from the perspective of the persons actively taking part in a war/battle. Obviously, this has always involved killing, a reason for which many present day Christians usually assume that a Christian should NEVER participate in war. However, it is also a fact that quite a few of the early century-Martyrs who are now considered saints were soldiers in the Roman army. In the church which I attent there are many of these military martyrs who are depicted with swords, shields, bows, armors and all that. SO my question runs along these lines: is it possible to remain pure in heart even in the midst of the chaos of battle ? Can military activity- with all it implies- be considered a form of ascetism- a sort of symbol for the inner struggle. After all, many ascetic writings use military terms to describe the unseen warfare (itself a military term). I confess that I had to read your comment several times before I understood it; you are obviously quite a scholar when it comes to Orthodoxy, and I appreciate your insight. However, you make the Faith sound very similar to Rabbinic Judaism–a religion that, by Jesus’ time, had become so centered on Rabbinical interpretation of Torah, that their teachings (midrash–later the Talmud) became primary over the Torah itself. Jesus made it clear how he felt about that. It was an obstacle and burden to the people that kept them from knowing God; an exclusive club for “the righteous” only–those “in the know” who had the time to devote themselves to midrashic study. I think God did harden Pharaoh’s heart, because that’s what is written in the Word concerning Him. God works in the lives of people through “appointed times” (the Jewish Feasts are a lesson in understanding this aspect of Reality). One might say that God’s work is opening and closing doors, eyes, and hearts at appointed times. I am not an Abba, but it seems to me that God *ensured* Pharaoh’s heart remained hardened so that all would come to pass and His people would know their God. I believe He does the same in all of our lives. Perhaps your time to come to know Him was in your infancy, when you were sealed in Faith by baptism. Your neighbor’s time might not come until she is a young adult . . . or middle-aged. We cannot look upon our unrepentant neighbors as selfish and lacking in humility. What they are lacking is God’s grace! God may act through us to draw them, or He may draw them in another way (as He did with St. Paul and St. Patrick). But, it is not their lack of virtue (as in your clay/wax example) that separates them from God; it is the scales upon their eyes, which they cannot remove themselves (this is why *we* baptize our infants). In your thoughts about heaven and hell, (it seems to me) you tread close to eliminating demonic influence from the picture–the very battle for our souls. I think you present an ego-centric view of faith–as being something for *me* and about me, something I do for myself–rather than the fulfillment of God’s Kingdom, of which He mysteriously and graciously makes us a part for His glory. I believe that the Gospel is simple–accessible to a child or to a housewife like me. If it requires years of studying what other people have written and said about the Word, then busy, working plain people don’t stand a chance of knowing God. So, in considering forgiving the unrepentant, how do I explain this to my little boy? He has learned that he must ask God to forgive him for what he has done wrong. He knows that he must apologize to his friends and ask for their forgiveness when he has hurt them (the point of which is reconciliation). How do I explain that God only requires this of him, not of his friends? That, in fact, he must forgive whatever his friends do to him, whether they are sorry or not. His buddy can break his toy on purpose, and it is okay–anything anyone does is okay: we must forgive (which means, “moving on” rather than reconciliation) and not pet that particular rattlesnake again. But, the way I see it, everyone is a rattlesnake (including me and my little boy) So, this is a sure way of having no friends at all! Also, regarding the comment you wrote to Father Stephen about the key to understanding this whole thing: are you familiar with the Russian mystic and adviser to Tsarina Alexandra Romanov? It is said that Rasputin went out on sinning binges to know God’s forgiveness more deeply and achieve that state of interior paradise of which you have written. Chasing after a religious experience is a corruption of God’s gift of faith. We are to love God, love our neighbor, and sin no more–regardless of our inner or outer experience); when we stumble in this, we repent and seek forgiveness. That is the Gospel I teach my children. I hope I am not in error. Actually, the Gospel I teach my children is Jesus–He is our Life, our joy, our All! In Him we live and move and have our being. It is in Him (and through the help of His Holy Mother and the Saints) that we love God and our neighbor. As Father says, war is a major part of the tragedy of a world mired in sin. It is always sinful no matter what we do to justify it. It is sinfulness: greed, fear, lust of power, that seems to make it necessary even just to protect one’s country. As to your question on the ability to participate in war with a pure heart: almost impossible I think unless one is a non-combatant like a medic. Demons are active and most, especially today, have little to no defense against them rousing battle passions and lust. Still there are examples which seem to indicate purity of heart in battle is possible; many more in which the outcome of particular battles seem to have been blessed by God (Constantine; St. George appearing to many Allied soldiers before the battle of El Alamein in WWII, St. Demetrios blessing St. Nester to kill the Emperor’s gladiator to name three). The military works quite hard at eradicating any independent conscience. IMO, that type of training creates a situation in which PTSD and suicide is going to flourish; especially where repentance/forgiveness is not at all a part of their treatment coming home. Today they are also working quiet hard to eradicate Christians from the military as well (or so it seems). The most recent public example is that of a highly decorated Navy Chaplin, a former SEAL who is being forced out of the military because he will not celebrate homosexuality. We pray for our military so that they don’t have to go into battle and even if they do that they be strengthened against the passions of battle. There is a great deal to contemplate here and also a great deal of literature to explore if you really want a general answer. I think though that the question is much more personal: If I were in the military could I maintain a pure heart and if not, how much of my soul am I willing to give up to protect others and myself? Would I be willing to disobey a legal order and if so, in what circumstance? Many of the Roman soldiers were already in the Roman army when they became Christian. Most stayed until they were confronted with a circumstance which forced them to choose between God and the Emperor. The story of St. Demetrios and St. Nester is the only one I know of in which the act of killing another in battle is an integral part of their path to sainthood. I have a friend who was a Lt. Col in the Air Force during a time of relative peace. He came to the conclusion that he could no longer serve because it was in contradiction to his growing faith. He left early and gave up his retirement benefits. 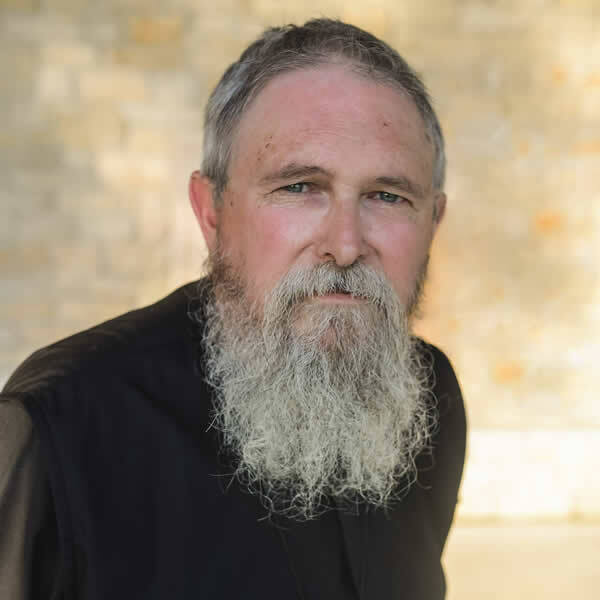 He is now an Orthodox priest in rural Arkansas. I have another friend who reposed nine years ago who was haunted most of his life by what he was required to do in Viet Nam as a young idealistic man. He came to the Orthodox Church late in life and only through a great deal of spiritual warfare was he able to recover some. I have no doubt however that the anger and stress he carried around with him for those many years shortened his life. If that is the case, then the Pharaoh was not fully human and not in the Image of Christ, as his free will was simply an instrument of God’s will. What of the Last Judgement? In a sense, if the Last Judgement is a metaphor, then the St Nyssa/Isaac universalism seems to be the case. If however, it is in fact a finality, a boundary, then universalism seems to be a cul de sac (St. Photius comes to mind). Karen, I think your criticism of Dino is a bit misplaced. He has always seemed to me to elevate the experience of knowing God as the highest good. However, that experience has to be placed in the correct context. The monastic elders and Fathers Dino references clearly know that. Their efforts are to communicate the context not to provide a juridical excuse to endless bickering in search for knowledge in a gnostic manner. The heart of wax vs. the heart of stone analogy is not Dino’s it is quite ancient in Orthodox spirituality. The point being that I have a heart of stone and it is only by God’s grace that it is softened. Portia’s appeal to mercy in the Merchant of Venice has long been a contemplation for me. Obtaining a heart of mercy is a life-long work primarily because we ate of the Tree of the Knowledge of Good and Evil. We think we have to discern everything. Sometimes that is necessary but not as often as we think. BTW, you teach your children well to help them enter into that work. Christopher, the dichotomy you draw is surely one that comes easily to mind but the Christian faith does not deal much in hard boundary dichotomies. Truth seems rather more to be antinomical based on the Incarnation. I believe that the “judgment/hell vs. mercy wins” dichotomy is much the same. They are each incomplete without the other. How? I do not know nor can I explain but the more I consider the question, the more deeply I move in that direction. 1 Cor 3: 10-15 seems to indicate this as well. I do know that as long as I do all that I can to follow Christ, as insufficient as that is, He is there granting great mercy. My prayers and the prayers of others for a “good defense before the dread judgment seat of Christ” will be answered. Praise God for all things even our enemies. Are we not all unrepentant to some degree at least? Christopher clarified and re-afirmed the point well, by saying ‘If that is the case, then the Pharaoh was not fully human’. What you said in your second comment is certainly sufficient to teach our children. Encountering the complex questions is a different matter though. I also think that it is crucial to apply the commandments to ourselves and not others, God’s commandment is to “me”. Not others, not even my kids. To the measure that someone is strict with themselves and lenient with others, to that measure he manifests to all that he truly believes in God’s grace. This trust in God’s all-powerful grace speaks volumes to our children too. It’s far more effective than the best words sometimes, and it authenticates them too. Hi Michael, Christopher and Dino–thank you all for your reponses! They are helping me and it is a good discussion. Dino, I am sorry for criticizing you. After reading Michael’s explanation (and then yours) I understand where you are coming from and I actually think our thoughts are in agreement on most of the things we are discussing. I really appreciate your thoughtful and intelligent answers. Michael, I so appreciate all that you said. Free will implies that we can save ourselves by our choice and right actions. But, Jesus said that “You did not choose me, but I chose you.” And, yet, God gave the Law, so we ARE culpable for our actions . . . As I said in a previous comment, I believe there is a dynamic, mysterious tension between God’s sovereignty and human agency, so it is not a matter of either/or but of both/and: Our nature is bound by sin, and we cannot free ourselves from it. But, God does not control our every move; we are not his puppets. And, neither was Pharaoh God’s puppet–rather, God chose to use Pharaoh’s life to reveal Himself to His people. This does not mean that God did not love Pharaoh, but rather that God made him a part of redemption’s story for His glory. I may be wrong about this, so I welcome everyone’s thoughts. We certainly have military heroes. These are generally never heroes of conquest, but of defense. But war always involves a certain amount of trauma, hence the discipline with regard to killing in war. Orthodoxy recognizes that life presents us with great struggles, even occasions that require the defense of the homeland. And there are wonderful miraculous stories of Divine Intervention and help in these struggles. And we should have no fear or hesitancy in praying for such things. But the Church never abandons its role as healer and reconciler – especially between man and God. And there is a recognition that killing, even in a good cause, always carries problems with it – no matter how good the war. And those problems must be addressed and healed. I worry that my own nation has been in almost continual wars now since the mid-60’s. It is a trauma that is not being healed and it is harming our souls because it is not healed. If Adam and Eve lost their freedom of will and became an utter slave to Satan, then they do not move themselves, but Satan moves them. If we then are born in this state of enslavement, then we are blameless for possessing these Satanic hearts of ours. The only thing that God could do to save us from these Satanic hearts that are only capable of rejecting God, is to forcefully cause a conversion within our hearts, freeing us once again to a state where loving God is possible. Otherwise, if God does not use force, then salvation is impossible for us. Susan, may I ask if you believe in a universal use of force by God, converting every single individual person’s heart from satanic enslavement into a state capable of possessing salvation? Fr. Stephen, Susan, and all. This has been a very helpful blog, filled with comments that are definitely valuable. I am really learning from them all. Forgiving the unrepentant is an issue we all face in life. These insights have helped me see the way it needs to be. Thank you. Susan, thank you too – for the kind comment, but God was with me thru it all, and I was led to a wonderful place of healing. My experiences have made me a much more compassionate and caring person. God blessed me with the most wonderful husband and marriage a woman could ever pray for. I am blessed to have a large family of children, grandchildren, and great-grandchildren now too. Michael Bauman is my husband, and I enjoy reading his comments in here. He has been Orthodox far longer than I have, and the insights and things the people on this blog have are always worth reading and thinking about. Michael leads our adult Sunday School at church, and loves sharing things from Fr. Stephan”s blog with the class at times. They appreciate the topics and the discussions. Life is a learning experience every day! Thanks to all for helping us grow as Orthodox Christians – with your valuable knowledge and comments. I think you may have missed part of my comment. I did not say that we became utter slaves to Satan. I said that we became slaves to *sin*. I do think we lost our original nature and the freedom we once had is now *limited* or *impinged” because we are bound by sin. If we had complete freedom of will then it would be possible for us to choose not to sin, and thus we would not need Jesus, OR we could all choose to reject the gift of salvation, and then his death would have been for nothing. I believe that God is sovereign AND I believe that humans are responsible for sin. I just want to let you know how much your comments (and your husband’s, and Fr. Stephen’s, and everyone’s) have meant to me. I see God’s grace clearly evident in this blog. You are all patient and kind and have been very generous to me. Thank you ♥ I am interested and eager to learn (I have Fr. Stephen’s book); and I trust that all of the seeds you have planted in my heart through this discussion will take root. I sincerely hope that I have not offended anyone in the things I have written. perhaps it would be more correct to say that man’s will was ‘corrupted’. St Maximus has meticulously explained this stuff. The orientation of our attention (the ‘nous’) away from God and towards the sensual world along with the feeling of slavery that comes from this magnetic pull (once you try sincerely to become liberated from it) serves two purposes by the way, one for God and the other exploited by our adversary. God uses even this to help us along humility, wisdom and reliance on Him rather than ourselves. Our enemy on the other hand highlights this slavery to make us blame God for our predicament. We must be careful to understand the subject of freedom of choice correctly therefore, as it is a prime topic of accusation of God by the devil – who would have us think, like he does, that our predicament is imposed on us rather than of our own making. The truth is that it is our thoughts and our sins that have determined our slavery and corruption and the astounding freedom of others (no matter how few) is proof of this. Saints are no different to us. Our Lord does not expect of us to be freed of our own, but to ask for His help in faith, acceptance and surrender – which is what made the saints so free. I have a couple of questions, to help better understand your line of thought; what would you say is responsible for moving a person to respond to God’s grace? I define grace as God’s own presence in His creation, so more precisely, what moves a person to respond to His presence? Does being born with this limited freedom, due to being bound by sin, prevent the human will from responding positively to God’s presence? “Culpable” Here is a problem. It’s the language of the legal/forensic world. When we say that someone is culpable, then we say that they deserve punishment. And then, of course, someone has to do the punishing. Thus God becomes the one who punishes. And, all of this is “external.” These things are “internal,” a matter of our true being and existence, and not just a description of our legal standing before God. Following this understanding leads us into a much greater and deeper understanding of the mysteries of the Faith as taught by the Fathers and the Church. Protestantism has tended to major in this legal understanding, and used it as a way of interpreting Scripture anywhere it was possible, and in a lot of places where it’s not even close to appropriate. This has confused people’s understanding of sin, forgiveness, salvation – frankly – the whole Christian faith. Much of what you have said – God’s sovereignty vs. human agency – are largely Protestant issues – not categories that play an important role in Orthodox thought. The will, for example, is not quite as simple as you might think. The teaching of the Church is that there are 2 wills in human beings – the natural will and the “gnomic” will (sort of means “choosing will”). Our natures are not fallen and are not slaves to sin. The Scripture never says such a thing – if you rightly understand the meaning of nature. But sin has estranged us from our nature. Instead of “naturally” doing what is “natural” for us. We are stuck with this “gnomic will” a by-product of the fall – part of the fracturing of our inner life. We now are confused and don’t know what to do and have to “choose” rather than just acting in accordance with our nature. Sometimes we get it right and sometimes we don’t. But what is most important is that sin is not a legal debt or a matter of culpability, per se. It is death. Sin is death. Death is the wage of sin (it’s outcome). We die because we are alienated from God and refuse to live in union with Him. In Christ, we are restored to that union and are enable to live eternally. The things we do wrong are simply the symptoms of sin at work in us, but not, properly speaking, sin itself. We call them “sins” but that’s really more of a nickname than an accurate description. There is much, much more to say in this. There is much, much more to learn. Susan, with regard to your thoughts on free will and slavery to sin in your last comment, I just wanted to mention I’ve read that the Incarnation was the reversal of the Curse of the Fall and that because of Christ’s Incarnation in which He unites Himself with our human nature, human will has been made free once again. Otherwise, none could freely turn to Christ. Certainly, we are not free apart from God’s initiative in Christ, and by the Holy Spirit “everywhere present and filling all things” He is at work within us all “to will and to work for His good pleasure” both before (John 16:8) and after conversion to Christ. We all have the help of God’s grace. What is different may be the extent to which we each as individuals are voluntarily cooperating or not with that grace. I must disagree that God’s forgiveness is unconditional: 1 John 1:8-9 says “If we say we have no sin, we deceive ourselves, and the truth is not in us. If we confess our sins, he is faithful and just to forgive us our sins and to cleanse us from all unrighteousness.” God extends the gift freely, but *receiving* it is conditional on our repentance and belief in Christ. It is a kind of covenant. If this is not true, then I am forgiven whether I believe in Christ and acknowledge my sinfulness or not. In that case, I may as well be Jewish or Muslim or atheist, no? I think you would probably agree we can say God’s forgiveness, which is an expression of His love, is unconditional in the sense that it is God’s very mode of Being. As you say, “God extends the gift freely. . .” not because by our works we can obligate Him, nor as a reaction to something we do. God is unchanging. As Holy Trinity He is revealed to be three Persons ever going out toward One another in an ecstasy of Self-giving love. God creating is this ecstasy of Self-giving love expressing itself in and upon that which is not, in itself, God, i.e., the Creation. God, like the rain and the sun, pours Himself in His goodness out upon the good and evil alike according to Scripture. How we receive God’s outpouring of Himself is indeed conditional upon the state of our hearts, however. We are genuinely free to reject His love or embrace it, and this makes all the difference. I think you are correct, therefore, where you say our *receiving* God’s forgiveness is conditional upon our repentance and belief in Christ. But then I have a couple of questions for you when you add: “It is a kind of covenant. If this is not true, then I am forgiven whether I believe in Christ and acknowledge my sinfulness or not. In that case, I may as well be Jewish or Muslim or atheist, no?” This language could be construed in a bit of a nominalistic fashion. In order to determine if you understand this in a nominalistic way, I would ask: what is it about being Muslim or Jewish or atheist which limits a person’s receipt of forgiveness from God? Are we going to say that if a Muslim, atheist, or Jew commits some sin, sees it as a sin, and is genuinely repentant vis-a-vis that sin, God will not forgive him or her of that sin because he or she has not “believed” in Christ? Similarly, suppose someone professes and evidences genuine belief in Christ is baptized and becomes a member of the Church, but clings to certain sins remaining unrepentant with respect to those sins. Can this person receive God’s forgiveness for those (as of yet) unrepented sins? I’m not sure that is what you want to say, but your words could be construed that way. I am also left wondering in the wake of this sequence of statements in your comment what you understand by the meaning of a “covenant.” What is the difference between a covenant as you are understanding it here and a contract, for instance? Thank you very much for your patient and kind instruction–I deeply appreciate you bearing with me. I understand what you mean by “legal/forensic”, but that is not where I am coming from; I am not Protestant. I do not understand why the word “culpable” is wrong. I understand it to mean “blameworthy”. In my Christian tradition we confess our sins to God. We say, “I have sinned through my fault, through my fault, through my most grievous fault” (mea culpa, mea culpa, mea maxima culpa). You wrote “But sin has estranged us from our nature. Instead of “naturally” doing what is “natural” for us. We are stuck with this “gnomic will” a by-product of the fall – part of the fracturing of our inner life. We now are confused and don’t know what to do and have to “choose” rather than just acting in accordance with our nature. Sometimes we get it right and sometimes we don’t.” This was a very helpful explanation to me, and I agree with it. But, I do not understand everything you wrote. You said that man does not have a fallen nature, but in the paragraph above you say the gnomic will is a “product of the fall”. You said that the scriptures never say we are slaves to sin (I can cite several verses that say exactly that)–that these words would mean something different to me if I properly understood what “nature” meant. You may be right; I will give it more time, thought and prayer. But, Father, I thought that in your excellent post “The Human Project” you were saying that without Christ we are not fully/rightly human. That is what I meant when I said that we have lost our original nature, that we are not what God originally intended for us. Therefore, if anyone is in Christ, he is a new creation. The old has passed away; behold, the new has come. All this is from God, who through Christ reconciled us to himself and gave us the ministry of reconciliation; that is, in Christ God was reconciling the world to himself, not counting their trespasses against them, and entrusting to us the message of reconciliation. Therefore, we are ambassadors for Christ, God making his appeal through us. We implore you on behalf of Christ, be reconciled to God. For our sake he made him to be sin who knew no sin, so that in him we might become the righteousness of God. (If my nature is not changed in Christ, then how am I to understand “new creation”–that is strong wording). Thank you again for taking the time to explain. Thank you SO much for your comment. It was very helpful to me–I wish I could point out how, but I have to leave for choir practice. I like what you wrote about nominalism–yes, I can see how my words could be construed that way, and no, that isn’t what I intended. Where I wrote covenant, I mean communion. in order to understand this correctly we need to start with the notion of the “logos” of our being, the raison d’être, or eschatological calling and principle of our nature. The notion of gnomic will, developed particularly in St Maximus the Confessor is contrasted with natural willing. Natural willing is in accordance with the principle (logos) of its nature towards the fulfilment (telos) of its being. It is therefore not ‘fallen’. Gnomic willing, on the other hand, is willing in which a person engages in a process of deliberation arriving at a choice, gnomic willing presupposes that a person does not know what they want, and must therefore deliberate to choose between many alternatives. However, our Lord, as omniscient, was never in a state of ignorance regarding what he wanted, and so never engaged in gnomic willing. It seems there is too much focus in this discussion on what we or others have done or will do to repent or somehow be forgiven of the sins we and others committed. The focus is how can we make things right again, fixed up, or re-balance the scales bent or broken by sin. Sorry for being blunt, but God is interested in who we are, if we are vessels for His use and tabernacles for His presence. Repentance is nothing more or less than doing what’s needed to stand in His gaze with all the shameful baggage we have or picked up since the last time so He can deal with it in that particular moment which is the only moment we ever have with Him at the moment. God’s forgiveness is always given. It is the gift of Christ come to us; the only sinless one who chose to become our sin. In like manner, we can also forgive all men for all things always, without calculations. This is not a transaction. It is full identification of one being with another. Repentance of the heart is sufficient for God. David said “against You only have I sinned” after committing adultery and murder and who knows what else! Yes we should make amends, give alms, repair relations, and so on, but all these things are not possible if our motive is to set things right. We cannot. Sinners who thus know God’s forgiveness can love with divine love shed abroad in their heart. When we take on ourselves repentance for other’s sins, bringing them into the Lord’s presence –”Father forgive them, they know not what they are doing”– we can learn how endless repentance is and God’s deep love for mankind. It brings tears to the eyes. A heart thus enlarged has room for a dwelling. God’s dwelling by mercy and grace can be in there. This is the entire point. Without it nothing matters. Please pray for me a sinner. MichaelPatrick, very well said! Speaking for myself at least, I’d say that sort of bluntness is a tonic. Unrepentant is the first name of the devil, and all this urge to forgive him resembles dangerously to love for the evil one. Well, actually “Accuser of the brethren” is the name given to the devil in the Scriptures. I can certainly agree it is a hallmark of this Accuser that he refuses to repent of his accusation both of God and of those God has chosen to identify Himself with. I can also see where an insufficient understanding of the nature of both “repentance” and “forgiveness” could come up with the second half of that, but let me ask our commenter, was Jesus “resembling dangerously to love for the evil one” when from the Cross He asked the Father to forgive those responsible for crucifying Him, for “they know not what they do”? (The imitation of Christ in this, and in response to His command, is all that is being advocated in these posts and threads.) Arguably, those most responsible for crucifying Jesus knew very well they were murdering an innocent man–even a man of God–out of envy and in order to preserve their political power. One would certainly be justified in wondering in what sense they “did not know” what they were doing, and how the Father could oblige His Son’s request. Can we dare doubt, though, that when we see the Son praying “Father, forgive them” from the Cross, the Son is giving the fullest possible expression also to the very nature and will of the Father (John 14:9)? I have seen no suggestion here that the devil or any other unrepentant sinner will benefit from God’s mercy upon them apart from their repentance (certainly not in the way those repenting will). But this is not because God “demands” their repentance as a sort of “quid pro quo,” but rather because repentance is the equivalent of their willingness to accept God’s free gift of Himself (the embrace of which is our salvation). Is it not obvious the demonstration of the love and forgiveness of God is the very foundation and condition for the liberation for repentance and communion with Him of sinners–both of those who forgive in imitation of Him and also those to whom forgiveness is extended? Forgiveness of others, even one’s enemies, is the quintessential expression of communion with God. Our deleted commenter seriously misunderstands the meaning of these posts and comments if the above excerpted quote reflects the bottom line of what he is taking away from these discussions. I fear from the content of some of his comments here that God’s description in Job 42:7-9 of Job’s comforters (who were so very “quid pro quo” in their understanding of the nature of God in His dealings with sinners) could well describe those comments, too. Based on what happened to the Apostles (Romans 3:8), though, I’d say Fr. Stephen (and others here) are likely not preaching the true gospel if nobody ever accuses him (in some fashion) of antinomianism! I said that our natures are not slaves to sin. If my nature is a slave to sin, then it is natural for me to sin. This is contrary to the Orthodox faith. The Fathers, particularly through the 5th and 6th Ecumenical Councils, offered very extensive and careful reflection on the humanity of Christ, in their efforts to refute a number of errors. Another aspect of this was a very developed understanding of what it means to be human. It is in these careful reflections that distinctions concerning the will (natural/gnomic) and many other aspects of our existence (freedom, personhood, etc.) were discussed. Sadly, this work is often lost on most Christians, particularly in modern culture where the reductionist reading of Scriptures by Protestants have frequently simply repeated the errors that were refuted in these councils. One set of errors that have evolved over the centuries are those regarding freedom and sovereignty. Using some selected ideas from Augustine, Protestant thinkers such as John Calvin developed an entire systematic theology with a number of incorrect categories and assumptions built in. Many of these have long since been popularized, such that people entertain them without never having been a Calvinist, etc. I gather that you are Roman Catholic (mea culpa, etc.). There is within certain streams of Catholicism strong forensic/legal metaphors. At one point it was almost the exclusive manner in which Catholicism saw the world. It is certainly a matter of discussion/revision today, but still quite common. The legal/forensic imagery is so pervasive that it is both hard for some to see, while at the same time is seems to permeate the Scriptures for them. One of the assumptions in this metaphor is that sin is like “blame.” It is the crime for which we are being judged. And it is God who does the judging in an external manner – just like a judge in the law court. And the consequence of our sin is reward or punishment – which is also external (heaven/hell). The “ontological” imagery that dominates the Orthodox East tends to stay away from the forensic/legal stuff that is so present everywhere today. Instead, it ultimately sees things in the thought and language of the Councils – which were concerned with nature/being/personhood etc. Sin is not an external matter. It is not a matter of “blame” for which we are rewarded or punished. Sin is death – physical, spiritual, etc. Created out of nothing we are sustained in existence only by God’s grace. We were created to move from being, to well-being, to eternal being. Instead, in breaking communion with God we move from being towards non-being (death). This death (corruption) is thus at work in us and it is manifest in the things we do wrong, etc. Salvation is being restored to communion with Christ such that death within us is being destroyed and we return to the path of eternal being. The fruit of this is good works, the result of life within us. Taking the judgment parables in a literal/legal/forensic manner is similar to listening to St. Patrick and thinking God is a shamrock. The parables are not given to map out the literal details of judgment but to point us to a deeper, proper understanding. Judgment is not external – God consigning us to hell, etc. The “judgment” is already at work within us – it is death/corruption, and the movement towards increasing non-being. To meet God face-to-face while in a state of unrepentant corruption would be to hate him – to want to flee from before His face. St. Isaac of Syria said that the judgment of God is nothing other than the love of God. The judgment for us is that we might very well hate the love of God. But judgment is not external. Were it so, then God would be our enemy. Judgment would be nothing more than God’s assignment of us to this or that. This only breeds fear. None of this actually makes much sense if pressed into the legal metaphor. As an image goes, it’s simply insufficient to bear the weight of the gospel. It yields a very weak, and sometimes silly account of salvation. I think you said you’re reading my book. It explores a lot of this. Thank you, Father! I will ponder all that you wrote. It seems that I am seeing everything through the wrong lens. Please pray for me, that God will open my eyes through reading and prayer. I want to have a proper understanding of who God is and who I am. I am very grateful for your blog, your book, and your generosity. On youtube (or her website). In this episode she touches on the life and teaching of St. Maximus the Confessor, who is the “go to” Father on the human and divine will. He can be very technical and philosophically challenging. Indeed, I am not at all convinced one should be doing much with him unless one is somewhat versed in classical philosophy, history and Orthodoxy. That said Sr. Vassa does a good job explaining the main points and bringing into a contemporary and relevant “thought for the day”. She just touches the very edges of Maximus, but you can get a sense of the perspective of the Church and how it approaches “sin” and “nature” (divine and human), etc. I have a question about our “fallen nature”. You explained to Susan that we do not have a fallen nature in a previous comment in this thread. I have heard you say this before and it rings very true compared to my Protestant upbringing. It has also been a wonderful tool to explain to my family that when we sin we are not being our ” true selves” as opposed to what society tells us. But I have read another Orthodox Monk ( who was Lutheran) blog about our fallen nature. I don’t say this to put what you say vs what he says but wondered if there are times when a fallen nature is talked about in orthodoxy but because of my Protestant background I am miss reading him. He does use the term Fallen Nature. Secondly, a while back you wrote about how people don’t really change… my sins that I did as a child, my weaknesses, personality traits etc I will always have. Unfortunately I know this to be true about myself. How does that fit with forgiving the unrepentant? Sometimes they don’t even see their own weaknesses ( just like I don’t always see mine) but I am told I must forgive them over and over and over. It makes for very messy relationships, especially when I expect more Christlikeness from other Christians. Yes, it’s true that “fallen nature” is language sometimes used by Orthodox writers. It’s sort of a casual way to say “in our fallen state.” But it’s problematic in its more technical sense. If we forgive others, expecting them to change, we’re going to be in lots of messy relationships and feel stuck. Though there is “change” to some extent – it is rarely to a very large extent. The traits, etc. that you mention are very deeply written into our character. The Scripture says, “Love covers a multitude of sins.” It’s pretty much the only way to forgive. Even those who repent, are still likely to fail us again, despite their best intentions. Love has to fill in the gaps. It’s indispensable. Dino, I’m having trouble with the River of Fire. It seems as though the point is something to the effect that God’s love and forgiveness are great…far greater than we ever imagined. The author seems to be arguing against a western / Calvinist belief that God wishes to punish people. I sort of get it and I agree with the author in many respects. But my question is this: If (since) God’s forgiveness and love are great….then why fast? Why fight against the flesh and the passions? Why care about the poor? Heck, why attend the Divine Liturgy very often? Why not just live a sort of antinomian life and trust in the end that God’s love and forgiveness will take care of all? I don’t mean to be flippant (forgive me). I would never choose to live the way I just described. But these are honest questions I have after looking over the River of Fire. Because, quite simply, you, too will stand in the fullness of the love of God. It will either be fire or light (in the language of the River of Fire). We do all that we can to cooperate in our union with God – we learn to love Him. It’s ontological, not legal. The good God isn’t just going to magically translate us into the Kingdom, happy and well. His goodness and love burns those (figuratively) who do not love Him. As I process this conversation on forgiveness, especially during this Lenten period, I begin to see how difficult forgiveness really is. I don’t think it’s so black and white. I feel like those things that I hold on to are like chards of glass that lay inside of me. When they are quiet I feel like I have forgiven. Then, quite serruptiouly they become agitated, they float inside of me, cutting me. I realize then that I haven’t really forgiven in the first place. That’s a very apt analogy. I agree. It is very difficult. We should understand that it is close to the very heart of the spiritual life. Alan, please allow me to add something. The legal view is, erroneously, a transaction or deal that takes care of our guilt. Once we accept it nothing more needs to happen until we step through heaven’s gates to seize the prize Christ laid up there for us. Christ blew past guilt and went straight for death. Doing so he slew it for everyone. This is worth dwelling on because it doesn’t fit the legal model very well where guilt and forgiveness get a spotlight. God’s focus is not guilt. He knows our frame. He knew we’d sin. His focus is keeping us alive and filling our nature with His divinity as a gift we don’t deserve, by grace –or breath– of His Holy Spirit. The new birth is something quite different from forgiveness and accepting it. A new kind of life is required to dwell with Him forever. So, what happens when everyone is raised on that day? We meet him in either in joy or in judgement. The joy is talked about in the scriptures and something we should be experiencing now. Our enemy wants to steal it from us because it is a foretaste of heaven and draws us onward. Judgement greets those who don’t want to meet God, regardless of their reason, because they won’t have a choice to meet Him any more than they had a choice to be born the first time. If they aren’t a dwelling place for God here they will find no dwelling for themselves there. New birth, yes, but we’re not babies forever. We are called to the full stature of Christ. It’s just mind-blowing. Every moment is an opportunity to commune with divinity and anything less means we are less alive, less ourself, just not what we could be. This is not about guilt — shoulda, woulda, coulda. It’s a matter of life or death, joy or hell. Now is the time. The gates are opened. Please excuse my rambling and pray for me a sinner. Michael Patrick, thank you for your lengthy response. It was of great help to me and I greatly appreciate it. I didn’t word my question very well but nonetheless, you (and Fr Stephen) answered it perfectly and wrote what I needed to hear. After 40 years as an Evangelical, I’m afraid the Western, juridical model still clouds my thinking and causes me problems. 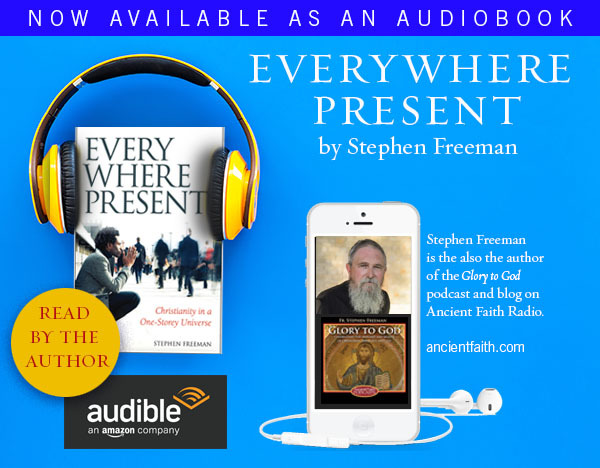 I’m most grateful for Fr Stephen and others here and the insights they share. Maybe it would help to understand the nature and importance of our ascesis if I use an illustration. Have you ever seen or read about that monkey trap Africans use to catch a monkey for dinner? They take a gourd or some such hard shelled container, tether it to a secure post or to a tree and drill a hole in it only large enough to admit a monkey’s extended hand and then fill it with bits of food or candy that monkeys love to eat. The monkey reaches into the gourd to take the treats, but his closed fist is too large to extract from the hole. If he won’t let go of the candy, he gets eaten. Our struggle against sin and the nature of our ascesis is a bit like that. In the same way that the monkey’s release of the candy is his life and freedom, our voluntary struggle against sin’s hold on our heart is the only way we can attain unity with the Trinity in love, which is our proper End, our purpose for existence, and our only true happiness. For our faith to be living and effective, we must exercise it, and our ascesis is the exercise of our faith. Our flesh is like the monkey’s love for what he thinks is an easy meal of candy, and the devil lays many attractive snares for us in hopes of devouring us, which we must struggle to avoid. God is our Rescuer, Redeemer and Ally in this struggle–He has made the Way through Christ. He isn’t asking us to struggle to prove something to Him. We must struggle because our attachment to what is not God is a matter of our will, and God will woo our will, but not force us to come to Him. The lack of a clear vision of God in His love (like the monkey’s lack of insight or interest in looking for another safer source of food) makes the struggle hard. It is really the reason the struggle exists at all. Like Fr. Stephen says, if we have not labored to be made fit for Heaven in this life through our cooperation with God, God’s Love, His Light, His Truth, His Grace (which are all the same thing–that is, God in His energies) in all His dreadful purity will be unbearable to us. It seems to me if a person has any experiential inkling at all of the nature of God in His Love, he will understand that “Heaven” is nothing more or less than union with Him. And he will also intuitively understand to encounter that love, never having returned it and having no longer any opportunity to respond to that love in a meaningful way, is hell. Love is its own reward and sin its own punishment, but I believe this can only be revealed to us to the extent that we have had a real encounter with the love of God. Karen, spot on. Only an encounter with the person Jesus Christ makes life real. Otherwise everything is a matter of opinion and theoretical. Even with such an encounter the “flesh” as it were can weigh heavily on us; dragging us away from Him; trapping us like the monkey. Acting and reacting out of “philotimo” in thoughts, words and deeds means doing this out of deep gratitude, out of an inner disposition of grateful indebtedness or responsive gratefulness. Thank you Dino. That’s a wonderful verse and your translation is illuminating. I think sometimes about a few people I wish I had received forgiveness from before they departed. My mother in law is one. When I see them I cannot help but think there will be tears, at least my tears begging them to forgive me. And who knows how many others I’ve offended — conveniently forgotten — who will appear in that day. I used to think there would be no tears in heaven, but I’ve changed my mind. There will be lots of tears but they will cease before the great consoler who will be there reconciling us in Himself, wiping away every tear from our eyes. Glory to Christ our savior! Is ‘philotimo’ being translated here as “labour”? In response to both of your comments regarding unsafe relationships, thank you. My family is at a precipice right now. I can’t know if we are safe and I never know what is the right, safe, or wise thing to do. It’s a fine line. Yes. Other English words that are used are “make it our ambition” etc. It is a word that carries a great deal of weight in Greek thought – and is here under translated. Not to be a joy-kill, but just a word of caution – translation should consider relevant context and usage (i.e. other NT and early Christian literature), so reading too much into this word becomes problematic. Translation of course is a difficult undertaking, no doubt. It is most commonly translated as “aspiration” and “ambition”, see for instance Romans 15:20 and 1 Thessalonians 4:11. Also be careful not to conflate modern Greek with NT Greek. even though we’d learn in School (I mean in Athens) that “philotimo” was regularly used in antiquity (Thales -“Know thyself”- of Miletus, one of the Seven Sages of Greece famously exclaimed that “Philotimo to the Greek is like breathing. A Greek is not a Greek without it”), its noble understanding was decisively established during the Christian period. I think that there is no doubt that its use in the Bible is the prime foundation of its use in modern Greek culture. Its meaning in Thessalonians and Romans is again the same: acting (whether that’s translated as labouring, procureing, aspiring, making it one’s ambition or one’s aim etc) out of an inner disposition of grateful indebtedness or responsive gratefulness. The ultimate sense of Philotimo is when we exclaim “Thine own of Thine own, we offer to Thee”. A peculiar point to be made is that one cannot really act out of “philotimo” (I mean even secularly, and as part of a secular society) as an ‘individual’ but only really as a ‘person’ (in the theological understanding of these words), something closer to a “hypostasis”, a facet of the greater whole. Robert, you’re trumped on this one. I also refer you to an earlier article. Is the idea of giving your best effort to accomplish something you know to be pleasing to, let’s say, a parent or grandparent, or a significant other, from a heart of grateful love a proper way of thinking about “philotimo?” Kind of like presenting yourself through your daily efforts as a gift to your loved ones? For example, a man who works hard at his job with a certain husbandly and fatherly joy that, without the sense of doing it for the sake of his loved ones at home, could easily just be viewed by him as a unpleasant, wearisome necessity. I think fighting the passions and keeping a prayerful mind is a way of reminding ourselves of God’s presence, in order to continuously stoke the fire of gratitude and love for Him, so that then we will be inspired to present our lives through “photimo” as gifts to God. It’s easier to be inspired to present our own lives as gifts to our earthly loved ones because we see them face to face, but when it comes to God our passions for worldly things keep us from “seeing” Him, and thus from loving Him. If God is everywhere present, then we should see Him in all the things of creation, and thus all of creation should inspire love from us, causing us to give ourselves back as gifts to Him. ‘Philotimo’ would certainly encompass what you described. Practically, going by the classic threefold division of believers, it’s what makes ‘slaves’ and ‘mercenaries’ into sons and daughters. [When one realizes one’s sinfulness and the great mercy of God,] the heart cracks, as hard as it may be and real tears fall of themselves and then man prays an weeps without effort. This is because humility works continuously together with philotimo* and drills on the heart so that the springs increase, and the hand of God continually strokes the hard-working and philotimo child. *<emPhilotimo: A word Elder Paisios was fond of using, for which there is no equivalent in English. According to Elder Paisios’s understanding, philotimo “is the reverent distillation of goodness, the love shown by humble people, from which every trace of self has been filtered out. Their hearts are full of gratitude towards God and to their fellow men, and out of spiritual sensitivity, they try to repay the slightest good which others do them.” Elder Paisios the Athonite, Epistles. Souroti, Greece: Holy Monastery of the Evangelist John the Theologian, 2002, 34. Quote and footnote from the book, Precious Vessels of the Holy Spirit, Protecting Veil Press. Elder Paisios is now St. Paisios, having been very recently canonized. He died in 1994. Apparently, you can’t get the full meaning of every word in its full context in the Church out of a Bible commentary or dictionary. There is something to be said for the Church and her Saints as the living expression of the Tradition. It seems to me a case of “disenchanting” language. I won’t argue about this, and don’t mean to be contentious, but stand by the caution. Reading this meaning unqualified back into the particular NT usages is sloppy, unwarranted and irresponsible. Not that I disagree with the idea, but object to how it is established. We need sound, credible scholarship that holds up to scrutiny and follows accepted methods and standards. All meant in love – just a caution. I think we’d all agree that we need sound, credible scholarship that holds up to scrutiny. But you’ve kind of picked the wrong thing to suspect of needing a different clarification to what has been stated in the comments here concerning “philotimo”. It stands to this exact scrutiny. Using another example to demonstrate the need for credible scholarship would of course work. Robert we must also avoid the mind of “The Critic”. The reflexive contrarian who is suspicious of everything. Actually, one of the things that has changed for me after a while in Orthodoxy, is how I read Scripture – not just in technique but in the “feel” for its vocabulary. And example, actually, is my feel for “justification.” NT Wright has been a great improvement over the Protestant past – but the “obviousness” of what dikaiosune to almost all post Reformation eyes was, it turns out, simply wrong. And the word never “felt” right as a translation to Orthodox readers. Another example is the correct obviousness of a NT reading that is deeply imbedded in the imagery of “union.” It is simply everywhere – but almost completely missing in a Protestant reading. Things that should be obvious are not. Add to that that almost all grammatical and lexicographical aids available in English are written by Protestant scholars who are not native either to the languages or to Orthodoxy, the actual living context in which these things were written. Add to that, that most Protestant scholars come from a non-liturgical, non-sacramental world view, and are thus tone deaf to that world view, and you have to come to a conclusion that a huge amount of modern critical scholarship is biased, deaf, blind, and handicapped. I frankly put a tremendous stock in what native Greeks “feel” about a word. I majored in Greek and Latin, I also read Hebrew, German, and a little Russian. “Feel” is something that cannot be taught. Some parts of it can be learned, but often non-natives never pick it up. The “feel” of a word to native speakers, especially if it is a wide range of native speakers (as in the case of the word “philotimo”) is, in fact, a very credible scholarly tool. Not the only one. Dino – I already mentioned the principle/method of sound translation, what other examples do you require? Fr Stephen – languages are dynamic and “living” – usage, meaning and context change over time – and often substantially so. In the span of no more than 30 years words like “gay” and “cool” have changed their meaning and usage. Try King James English and one is further afield. Samples of this are both common and virtually endless. To take the “feel” of modern Greek to inform the meaning of 2000 year old NT Greek is not only foolhardy but simply irresponsible. Do so at your own risk, but be cautioned that one has now departed from sound and widely accepted principles of linguistic and biblical scholarship. For instance, examining movie or novel characters who we would define as “boorish” only provides us with the meaning of “boorish” in our present usage of that word, as we in our present linguistic context use and understand that word. To project this meaning and usage onto 6th century Old English will mislead to false conclusions, not to say anything about how backwards such an approach would be. The example of “justification” and the Protestant anachronistic projection of meaning into this word is a powerful example of the type of falsehood that can result when sound methods are abandoned. As a rule, natives (of a certain age) rarely need to consult a modern translation for any of this, I mean as rarely as once a year, (and that would predominantly be while reading the LXX OT rather that the NT) so, reading the original is something that commonly poses no problems for us whatsoever, no matter how much someone contests some of these things who is not a native speaker, it’s sometimes difficult not to just smile. Please allow me to ask for clarification: What is at issue in this discussion about translation? Why is it an issue? What’s at issue? This has all gone over my head. It’s a little thing. We’re marking time waiting for me to post an article of substance. But it’s interesting (to me). Your points are certainly valid in general, and the scholarly assessment is valuable, but one must not forget how little Greek has changed. When my father first went to Greece, having studied Classics at Uni, and not speaking a word of Modern Greek, he found he could read the newspaper just fine. That’s a span of 2500 years. I find the NT to be about as easy to read as Shakespeare, and the OT (LXX) a bit harder, but not as hard as, say, Chaucer. And that is after a scientific education in Greece, not the humanities. Having said all that, I would indeed like to know of other occurrences of the word in ancient sources, and how the meaning being expounded here fits with that material. I wish to thank Fr. Stephen, MichaelPatrick, Karen, and Dino! My question from last week was poorly worded but nonetheless, all of your answers were most insightful and full of wisdom and for that I am most grateful! “When my father first went to Greece, having studied Classics at Uni, and not speaking a word of Modern Greek, he found he could read the newspaper just fine. That’s a span of 2500 years.